‘Plymouth After Dark’ is an exciting four year outreach project supported by the Heritage Lottery Fund, which is exploring the range of activities that take place across the city at night. Our aim is to capture peoples’ stories, collect objects to add to our collections and commission new work. We’re organising and supporting a series of public events where people can share their stories and bring along their memorabilia – helping us to record and reveal a part of the city’s cultural heritage that many of us often take for granted. ‘Plymouth After Dark’ will culminate in an exhibition at The Box, Plymouth after it’s opened in 2020. 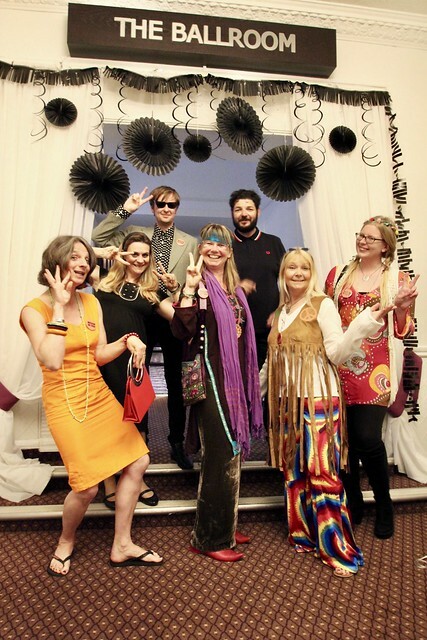 To officially launch the ‘Plymouth After Dark’ project we held an evening of music and reminiscing inspired by the 1960’s. The event took place at Plymouth’s New Continental Hotel. It featured a talk by local historian Chris Robinson and a two-hour music set by top tribute band ‘The Revolvers’. It also gave us a chance to chat to all our guests about their recollections from the period, or their fascination with it. You can find out why we decided to hold this event in our blog post by Learning Development Officer Tony Davey here. 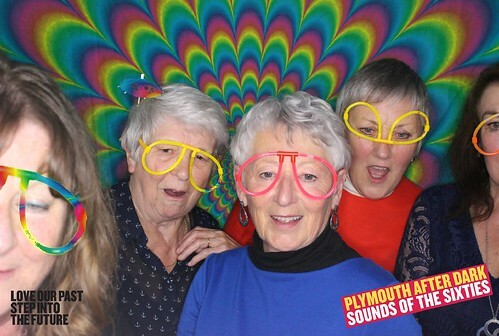 Some guests really got into the spirit of the age by donning suitable outfits or posing in our Photo Booth with some rather groovy backdrops – as you can see in the photo galleries below. We moved on to the 1990’s with our second major ‘Plymouth After Dark’ event, which took place on 17 February 2018 at the University of Plymouth’s Student Union. We teamed up with the award-winning ‘Big Fish Little Fish’ to host the event. It featured a live set by DJ Slipmatt who had a big chart hit in 1992 with ‘On A Ragga Tip’ as part of SL2. 500 ravers of all ages came to the event dressed in neon and glitter! Read our Learning Development Officer Tony Davey’s blog post about the event here. See our Facebook album of images taken by photographer Dom Moore here. Listen to DJ Slipmatt’s set which featured 90 minutes of wall-to-wall club classics here.